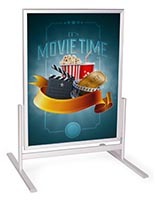 22" x 28" 23" x 33"
These large sidewalk signs are able to be seen from a distance and so will draw people closer to your business. 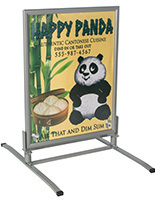 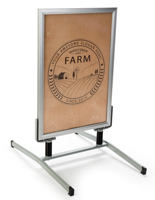 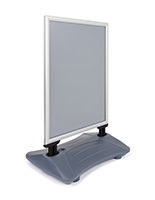 The portable outdoor displays are made of aluminum and so are easy to move, but will withstand use outside. 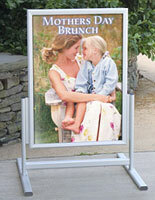 The sidewalk signs with snap frames are able to make changes to graphics easy and fast for less wasted time. 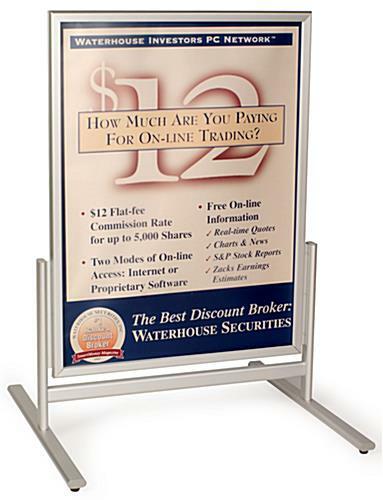 The sandwich boards display 30” x 40” graphics in silver framing for an eye-catching presentation. 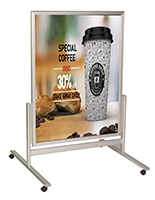 The signs come with PVC lenses that help to keep images safe from damage and dirt. 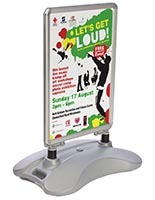 The portable sandwich boards are able to stay outdoors in moderate winds, but it is recommended that they be carried in during inclement weather. 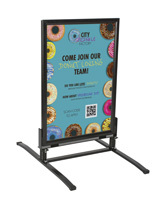 35.5" x 48.8" x 31.8"